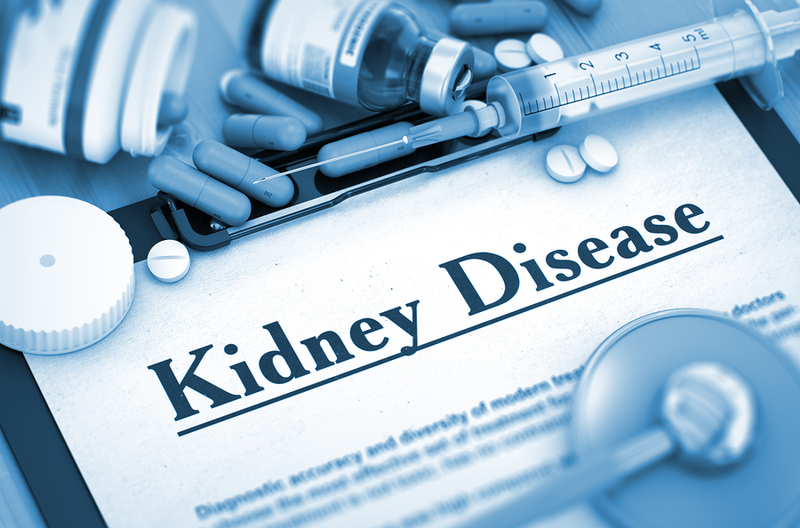 Kidney disease affects more than 30 million Americans adults each year and seniors are more likely to suffer from kidney diseases than any other age group. While there are a few warning signs of kidney disease, it’s very common for seniors to show no symptoms. As with any illness or disease, early detection is the key to the most successful treatments. When an aging adult has kidney disease, they often need family caregivers and home care providers to assist them in day-to-day tasks. While it’s possible for an elderly person with kidney disease to have no discernable symptoms, there are some signs that may point doctors and caregivers toward early diagnosis. Some of the common symptoms of kidney disease are high blood pressure, increased in urination frequency, headaches, puffy ankles, blood in the urine and bad breath or a metallic taste in their mouth. Seniors over the age of 60 are more likely to develop kidney disease if they are obese, already have high blood pressure, family history of the disease or they have diabetes. It’s important for seniors to receive proper treatment for kidney disease because when done right, it can slow down the progression. The doctor will prescribe medication to help with the symptoms. If the kidney disease has progressed for many years, the aging adult may need to go to dialysis, which is a procedure that filters the blood via a machine. A kidney transplant from a healthy donor is needed for the end stages of failing kidneys. When an elderly adult has been diagnosed with kidney disease, family caregivers and home care providers must assist them in following what the doctor orders for their treatment. With kidney disease, family caregivers and home care providers must work together to keep the elderly adult’s blood pressure under control as that can stress the kidneys. Diabetes is another threat to those with kidney disease, plus urinary tract infections and high cholesterol. Home care providers can attend to aging adults with kidney disease by helping them avoid all the stressors that affect the kidneys. Home care providers can help seniors stay clean and hygienic to prevent UTIs and moderate their diet so that they are focusing on nutritious meals and snacks. By taking on housework and laundry, home care providers are enabling seniors to rest and avoid too much stress. However, moderate activity is encouraged, and home care providers can help aging adults with that as well. Family caregivers want the best for their aging loved one after a diagnosis of kidney disease. Hiring a home care provider can help elderly relatives achieve the best care and the highest quality of life as they manage the symptoms of the disease. If you or an aging loved-one are considering hiring Home Care Services in South Side, PA, please contact the caring staff at In-Home Quality Care today.